This release includes most of the core changes that will be in 4.0.0. 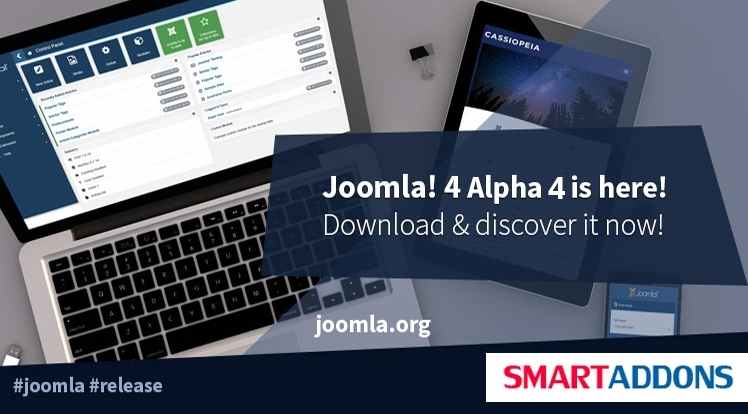 If you are excited with the official version, you can try this alpha version to explore the new features on your demo site, but not your current business site. The 4 version is scheduled to be released at the end of 2018. To use this big version, you need to make sure your Joomla site is ready for the latest 3.x version. Please follow this article for Fix Bugs, Errors When Update Sj Templates to Joomla 3.8 for bugs fixing or contact us here, we will help you.